From Amsterdam to Johannesburg, Singapore to San Francisco, Impact Hub has evolved into a rapidly expanding global network of over 17,000 members in 100+ locations. Each community is a wealth of innovative programs, events, and cutting-edge content. 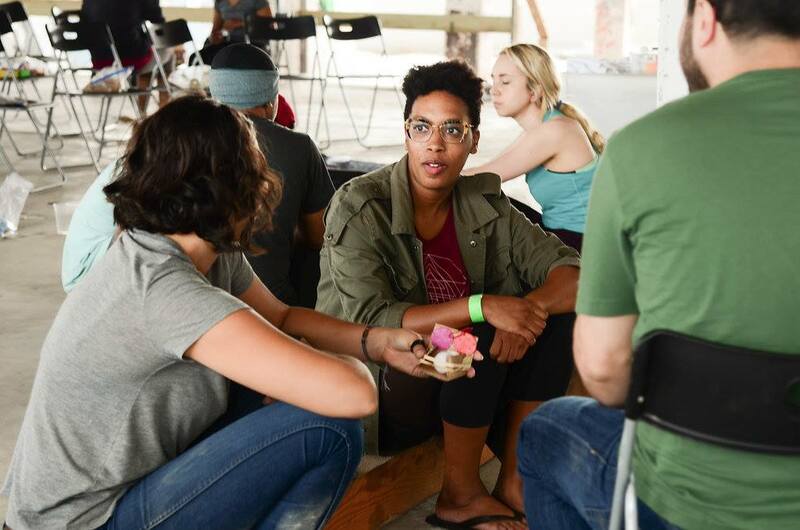 As a Connect or Core Member of Impact Hub Houston, you’re welcome to visit any Impact Hub worldwide and immerse yourself in the local experience of a global movement. Inspired programming with meaningful content, thought-provoking events, innovation labs, and opportunities for learning and positive impact. A vibrant community of passionate, entrepreneurial peers who want to connect, cross-pollinate ideas and develop impactful ventures. Empowering resources that offer flexible infrastructure for social innovators to productively work, meet, learn and collaborate. Traveling? Find An Impact Hub To Visit! What does Impact Hub do, globally? Startups have proven to be dynamic and powerful vehicles for solutions with truly transformative impact. Entrepreneurs need support throughout their challenging journeys: Even the most effective startups with the best solutions need support to reach significant scale. Access to market and financing is key for their growth, especially for disadvantaged entrepreneurs in markets that demand a high level of resilience. Co-created by Impact Hub Geneva and the United Nations Development Programme (UNDP), Accelerate2030 (A2030) is a global program for positive social and environmental impact. A2030 works with Impact Hubs in developing countries to source, select, and scale the most innovative and impactful ventures tackling the Global SDGs. We bring finalists to Geneva, connect them to leading international organizations and investors, and support them for 9 months. Starting from the bottom up, A2030 has already reached over 1 million people in 19 countries. Established institutions and corporations face an urgent need to innovate in a world that is evolving faster than ever before. Entrepreneurs have become an important source of inspiration and learning for leading organizations in new ways of thinking, designing solutions and products, and operating in constantly-changing environments. Impact Hub immerses institutional partners in thriving entrepreneurial ecosystems, giving them access to hundreds of high-potential enterprises, innovations, sustainability methods, tools, and experts. Impact Hub Zurich boosts innovation with multi-level corporate and institutional partnerships. For major telecommunication player Swisscom, they created an intrapreneurship program, coaching the company’s future leaders, providing them with lean work methodologies, and connecting them to startups for bottom-up innovation. Swiss candy company Ricola dared to go a step further with them. Together they built the RicoLAB, which focuses on long-term innovation. Today, it operates as an independent organization, not just driving innovation for Ricola but setting trends using groundbreaking technologies like AI and VR. Impact cannot happen in isolation: It takes shape in interdependent, lively ecosystems comprised of diverse actors, inspiring interactions, enabling policies, and varied resources. Impact Hub provides collaborative environments where many, if not all, of these elements come together. Even in some of the most challenged parts of the world, we provide a safe space for the foundation of ecosystems where minimal infrastructural support exists. In 2014, Impact Hub identified local entrepreneurs across Sub-Saharan Africa who believed that their entrepreneurial ecosystems needed local ownership and drive. Since 2015, we’ve worked with eight high-caliber teams from Burundi, Ghana, Mali, Nigeria, Rwanda, South Africa, Sudan, and Zimbabwe, who have developed active entrepreneurial communities, successfully built accessible workspaces, and run dozens of programs and events. As of 2017, Impact Hubs in Africa have supported more than 1,100 local entrepreneurs, and our community keeps growing. We need to build awareness and share stories that inspire and engage people to action, including the youth who will shape our future. We also need to explore trends and share best practices that can be applied to improving systems. Since 2010, this educational program has strived to change the world as we know it by putting social innovation into practice. Its collaborative model is hands-on, focused on dynamic learning-by-doing around specific topics. Brazil’s biggest innovation and workshops festival, this program has hosted 10,000+ youth at 15 events so far, and has expanded into five Brazilian cities. Sign up to learn what's coming up at Impact Hub Houston, and get the latest events, stories and opportunities from our impact ecosystem. Thank you! We look forward to sharing the latest and greatest of all-things-impact with you! 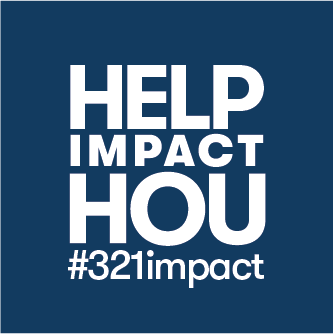 We've just launched our #321IMPACT crowdfunding campaign: Help us reach our goal! Learn more at https://houston.impacthub.net/3-2-1-impact/ or DONATE directly at https://houston.impacthub.net/donate. Success! Thank you for signing up. We look forward to connecting with you!